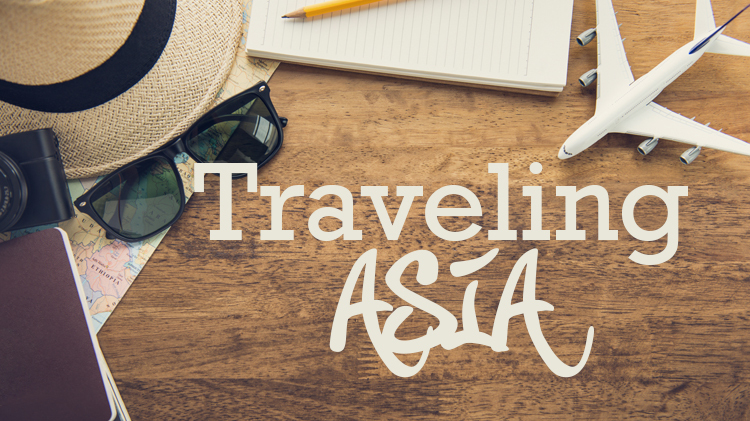 .Living in Korea has given me the opportunity to visit multiple Asian countries. For the next six months, I will narrow down to some places that I think you most definitely should visit during your stay in Korea! I'm going to start off this series with the second largest country in Asia and the country with the world’s second largest population—China. With China’s long history, it is a great place to see and experience history and different cultures. I would like to talk more about have been to Beijing and Qingdao—the most traveled to cities from Korea. Tiananmen Gate (or Gate of Heavenly Peace) is an immense gate in the center of Beijing and resides on the northern side of its namesake, Tiananmen Square. It is widely used as a national symbol of China and is also a popular photo area especially due to the large iconic portrait of Mao Zedong. The square can accommodate up to a million people, making it one of the largest squares in the world. The Great Wall was built by the successive dynasties of China to prevent the invasion of nomadic tribes from the North. When walking along the Great Wall, one can imagine the people who had built and rebuilt these walls over hundreds of years. In the Qing Dynasty, Wangfujing Road was filled with nobles’ and bureaucrats’ houses, but now it is the most famous shopping street in Beijing. You can see all sorts of Chinese street food, like dumplings, deep-fried starfish, lamb skewers and scorpion skewers—it is a fantastic place to have a culinary adventure! May Fourth Square is named after the May Fourth Movement that started in Qingdao in 1919. There is a pleasant walkway to take a stroll along the sea, making it perfect for pictures. It is quite beautiful during the day, but the square really shines at night when all of the lights come on. Xiaoyushan Park is a small park in Qingdao and has stunning panoramic views from its 3-story observatory. With wonderful views and surrounded by quaint cafes, Xiaoyushan Park is a gem of Qingdao. It is the perfect place to find a quiet cafe and enjoy a nice cup of coffee or tea. Established by German brewers in 1903, the Qingdao Beer Museum shows the process of making beer as well as the history of this old beer company. Learn about how beer is made and processed, both traditionally in the older part of the brewery all the way through bottling in the modern plant. Qingdao is a city famous for its seafood and Taidong Night Market is a great place to try what Qingdao has to offer. If seafood isn’t something you like, however, there are tons of other local foods to try as well. It's great to learn about the places before you visit, but what about when you're actually there? I've included some of my favorite foods to try, a few helpful phrases and tips about being a tourist in China. In China, dialects are very regional and sometimes even Chinese people don't understand one another. Based on my experience traveling in China, I found that English wasn’t a commonly spoken language. To help you on your trip to China, below are some Mandarin phrases I found the most useful while traveling. How much is it? 多少钱 duōshǎo qián ? Where is the washroom? 洗手间在哪儿 Xǐshǒujiān zài nǎer? There are a lot of bike shares in China. When I traveled the city, I liked using Ofo Bicycle App since it’s really easy to spot the bright yellow bikes. You can’t use Google, Kakaotalk, Facebook, Youtube or Instagram in China. In order to get around this, I downloaded a VPN app so I can access these social media sites. Since you can’t use Google, there are a few apps that you can use to help with navigation. I personally liked using Baidu Map. Since the country is large, using trains from city-to-city is a common mode of transportation. It was a really unique experience when I tried the bed train and even the high speed trains during my travels. Philippines is a Southeast Asian country in the Western Pacific, comprising more than 7,100 islands. Since it is located in the tropics, the average annual temperature is 27°C (about 81°F), which is hot all-year-round. The Philippines is a famous vacation spot, especially for honeymoons. Let's explore Boracay and Cebu, the most famous islands in the Philippines! Oslob is a small town and very famous for its whale shark tour. Cebu-Oslob is the one of the few places in the world where you can swim with whale sharks. If you’re not into getting buddy-buddy with some sharks but still want an adventure, canyoneering at Kawasan Falls is a popular location to try all types of outdoor activities. Experience the canyon through hiking, cliff jumping, swimming, rock climbing and even abseiling! Sugbo Mercado is the biggest weekend food market in Cebu. For a reasonable price, you can find delicious Filipino foods and event various kinds of seafood and Asian cuisine. It is a fantastic place to enjoy the local foods with live music! If you do visit the market, note that it is only open from Thursday through Sunday. White Beach is the world's third largest beach and, true to its name, it has beautiful ivory sands. Enjoy the sand art while feeling the sand between your toes on this fine coral sand beach. It is beautiful around-the-clock, but it shines at sunset. If you have the chance, try a sunset sailboat tour and experience a breath-taking tropical sunset. Crystal Cove Island is a great place for leisure or adventure. There are two caves on the island to explore—one that has great rock formations and a cave pool connected to the turquoise waters, while the other has a bit more spelunking with a small tunnel that leads to beautiful splashing waves. If you plan on exploring both caves, admission is around 200 piso (approximately 4 US dollars). Aside from exploring the caves, Crystal Cove is also a good place to enjoy snorkeling and swimming. D’Talipapa is a seafood market surrounded by souvenir shops and restaurants. After you buy your favorite seafood at the market, you can bring it to a restaurant and have it prepared any way you want. Popular dishes to try are garlic cheese lobster and chili shrimp. You can also order a wide variety of side dishes to include garlic rice—a local favorite. Don’t forget to bargain at the marketplace! It's great to learn about the places before you visit, but what about when you're actually there? I've included some of my favorite foods to try, a few helpful phrases and tips about being a tourist in the Philippines. Here are some delicious foods to try when you visit! Most locals speak a variation of English called Philippine English, but if you want to speak like the locals, here are some Tagalog phrases to try. Judy's Notes: Tagalog has an honorific indicator, “-po” (much like “-yo” in Korean). How much is it? Magkano po? Where is the washroom? Saan ang C.R.? I want to go to the airport. Gusto kong pumunta sa paliparan. As Boracay has no airport, it is more convenient to research for a reputable pickup company to take you to Boracay via boat. Due to exchange rates, it might be advantageous to exchange US dollars to Philippine piso ₱ (pronounced “peso” in Philippine English) rather than the Korean won. When leaving the Philippines, during check-in, I was charged an aiport/tourist fee in order to leave. Currently, as of writing this article, the fee is now around 850 piso. These are just a few things I considered as fun, unique purchases for the Philippines when I visited. Most of these items are uncommon to find in Korea or are unique to the Philippines.